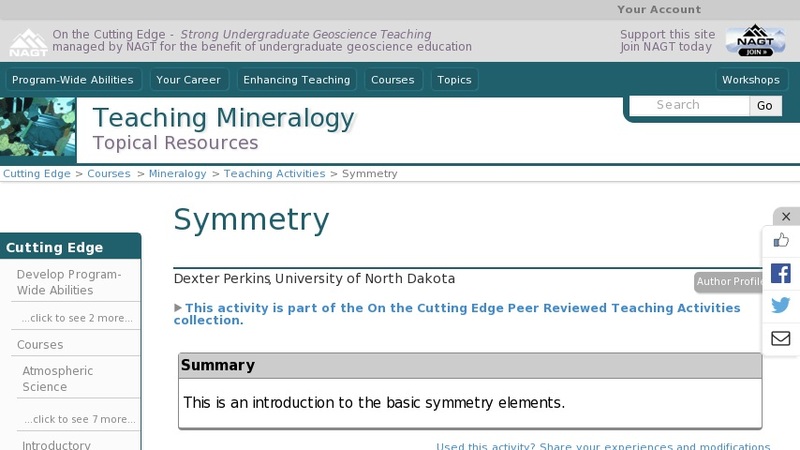 This is an introduction to basic symmetry elements. Students make drawings that show good examples of rotation axes and mirror planes and inversion centers with and without a 2-fold axis. They describe real objects a mirror plane, an inversion center, and 2, 3, 4, and 6-fold axes in 3D. They think about symmetry in atomic structures and indicate which symmetry elements are present in ball and stick models of minerals. Then they count the different kinds of symmetry elements present in wooden blocks and real minerals.